Bow hunting? Make our Guide Gear® Hang-on Tree Stand your new vantage point for nailing trophy whitetail. 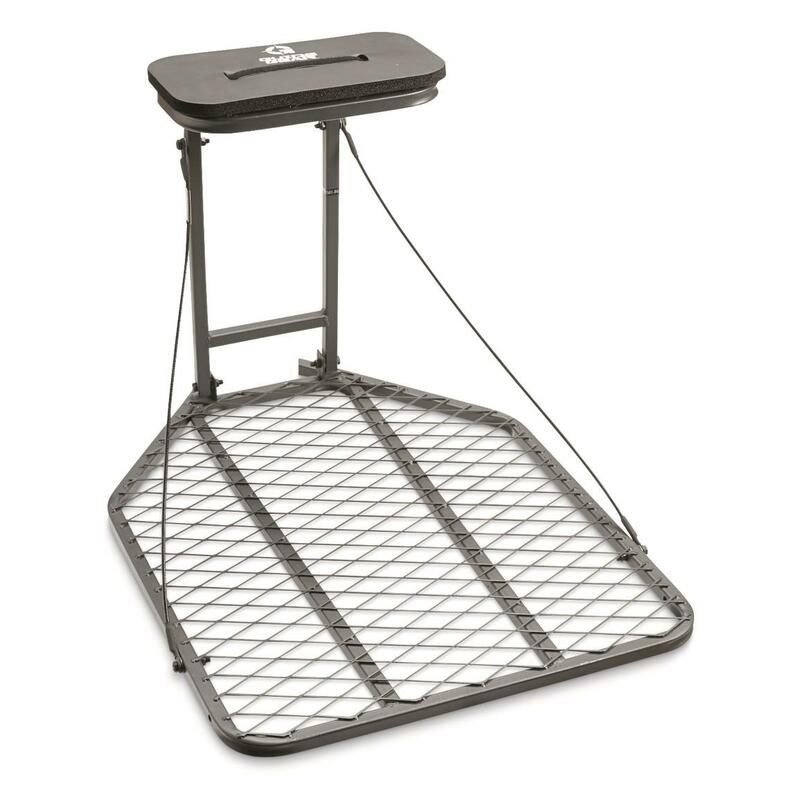 It's a quality-made deer stand that's lightweight, easy to transport and sets up anywhere. Plus, since it's our own Guide Gear direct-to-you brand, you get a durable, high-quality Tree Stand that won't blow your budget. 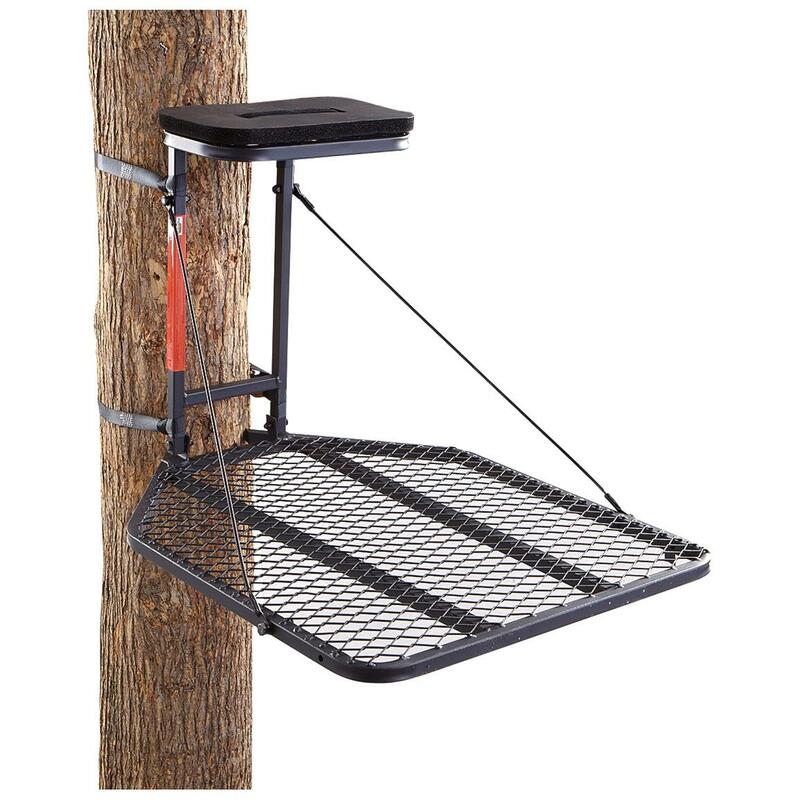 Platform Dimensions: 24"w. x 29.5"d.
Seat Dimensions: 14"w. x 8"d.
Guide Gear Hang-on Tree Stand, 24 x 29.5 is rated 4.7 out of 5 by 159. Rated 4 out of 5 by 10orbetter from Quick set up Needed a temporary portable stand for archery. This wasn't terribly heavy, and was adequately comfortable. Was able to move it several times to keep buck from learning my position.Would need something like a shooting stick for rifle. Passed up several bucks this year for a 10point or better. Rated 5 out of 5 by John from Great price!!! These are great stands made even better by the price. We have at least 15 and find them to be safe and comfortable. The 29.5 size is perfect and they are quiet. SG comes through with with another terrific bargain!!! Rated 5 out of 5 by fred from Great price Good bang for your Buck. Stand is solid once hung. Big standing area. A little heavy but once its hung you dont have to worry about it. Rated 5 out of 5 by jhd3 from Great Price! As is all SG gear, this is a great stand for the money. I plan to use it as an extra for my grandson to hunt out of. A great product for the price. Can't go wrong with this stand. Rated 5 out of 5 by Gunleather from Great stand I am disabled and use the stand on the base of the tree, not able to climb high anymore. It works great for this, a little awkward to hang with the strap system but other than that it does what I want.